Memory T cells are a critical element of our immune system's historical archive. To prevent repeat infections, these cells retain a record of germs they've fought before. But for all their importance, the origins of memory T cells have remained a mystery. Now, a new study from the laboratory of immunologist Matthew Pipkin, PhD, of The Scripps Research Institute's Florida campus, lays out the opening chapter of this enigma. Researchers found a transcription factor protein called Runx3 puts dividing T cells on track to becoming memory T cells. This new insight may allow researchers to design drugs that improve immune responses to vaccines, Pipkin says. The discovery could also have implications for chronic diseases such as cancer, in which responding T cells sometimes become "exhausted" and unable to rally an effective defense. "There are instances such as chronic infection and tumors where the T cells differentiate in an aberrant way that shortens their life span and decreases their function," Pipkin says. "Because our study found that Runx3 is one of the earliest players during an immune response, manipulating it might be an avenue to basically turn back the clock and reprogram dysfunctional T cells into a format that is conducive to them developing into genuine memory cells that are protective. The study, "The transcription factor Runx3 establishes chromatin accessibility of cis-regulatory landscapes that drive memory cytotoxic T lymphocyte formation," appears online in the journal Immunity on April 17, 2018. Runx3's control of T cell differentiation is important because when our bodies fight off viruses and cancers—and our T cells burst into action—the vast majority tend to become effector cells. These effector cells are short-lived and do not persist once the infection resolves. "This finding provides molecular evidence that the programming of memory is established very rapidly, and that it's kind of a push and pull to restrain the developing memory cells from differentiating into effector cells, which is a dead-end road," says Pipkin. The team studied what happened when Runx3 expression was partially suppressed using RNA interference. "All those experiments showed you lost the known precursors that give rise to memory T cells," Pipkin says. Conversely, cells with experimentally increased Runx3 produced more memory T cells. 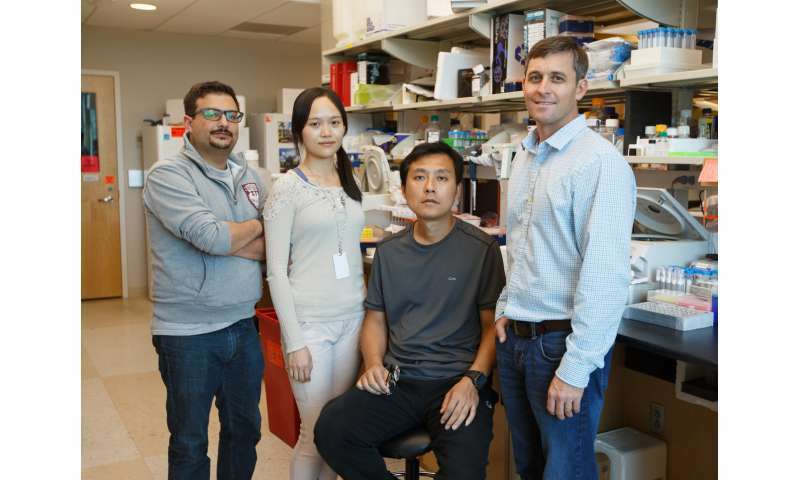 "Our work demonstrates that Runx3 turns down another transcription factor that commits the cells to becoming these terminal effector cells, and it slows down proliferation. That keeps the cells on a trajectory into the memory lineage." The new study also sheds light on the timeline when immune memory is established against an invader. Researchers found molecular evidence that the programming of memory T cells happens very rapidly after the immune system first encounters new threats. At this time, naïve CD8+ T cells must begin developing into specialists called cytotoxic T lymphocytes (CTL), that can kill infected or malignant cells. Pipkin's lab found that Runx3 coordinates the memory T cell differentiation program within the first few hours of infection. "We know that Runx3 is working with a number of additional transcription factors and chromatin regulatory proteins," Pipkin says. "So, we are currently trying to identify them and determine how they collaborate with Runx3 to turn on and off different regions of the genome to promote memory development."